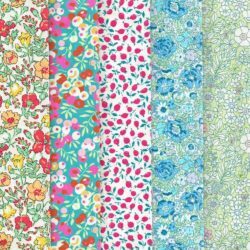 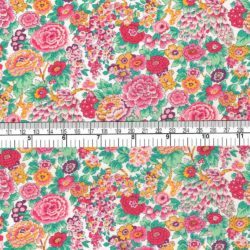 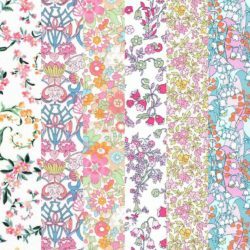 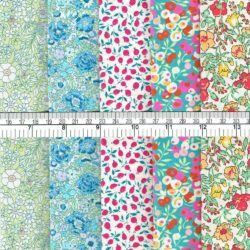 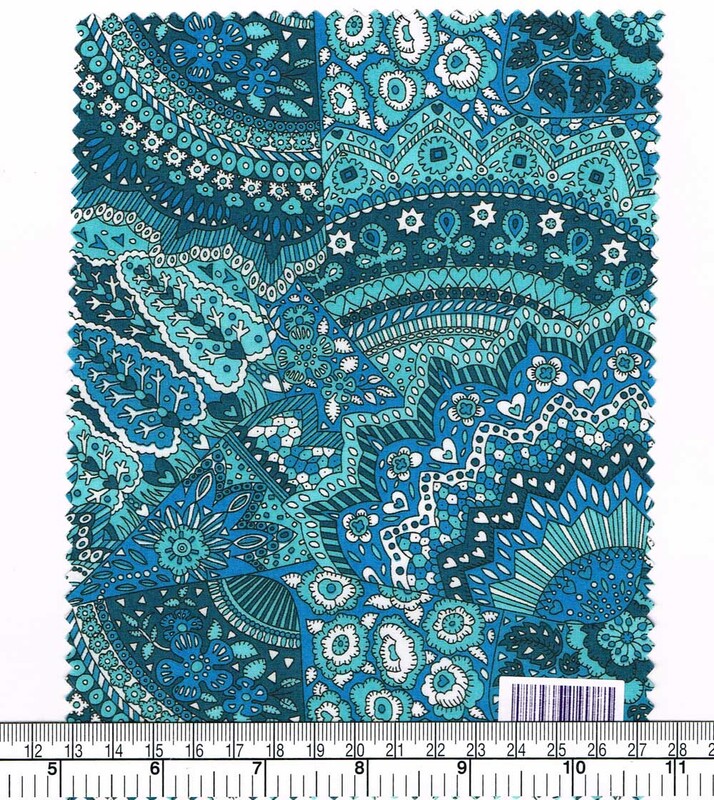 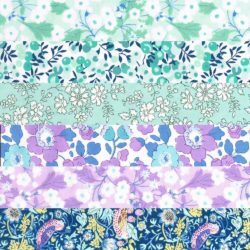 Home / Remnant Sale / Liberty Mixed Fabric 48 Small Pieces – Clearance Price! 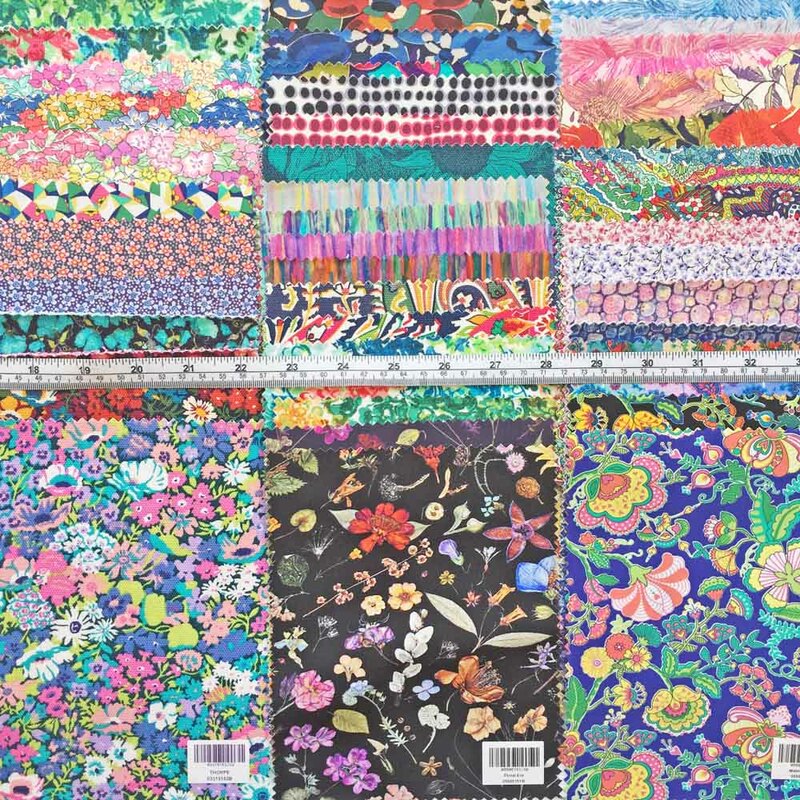 They’re back, for a limited time only, a fabulous bargain at a super-clearance price. 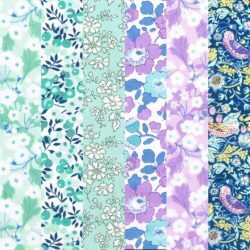 These are a random mixture of fabric bases: denim, jersey, swim jersey, silk, cotton, sweatshirt fabric and canvas – a bargain, lucky dip pack with a mixture of prints and shades. 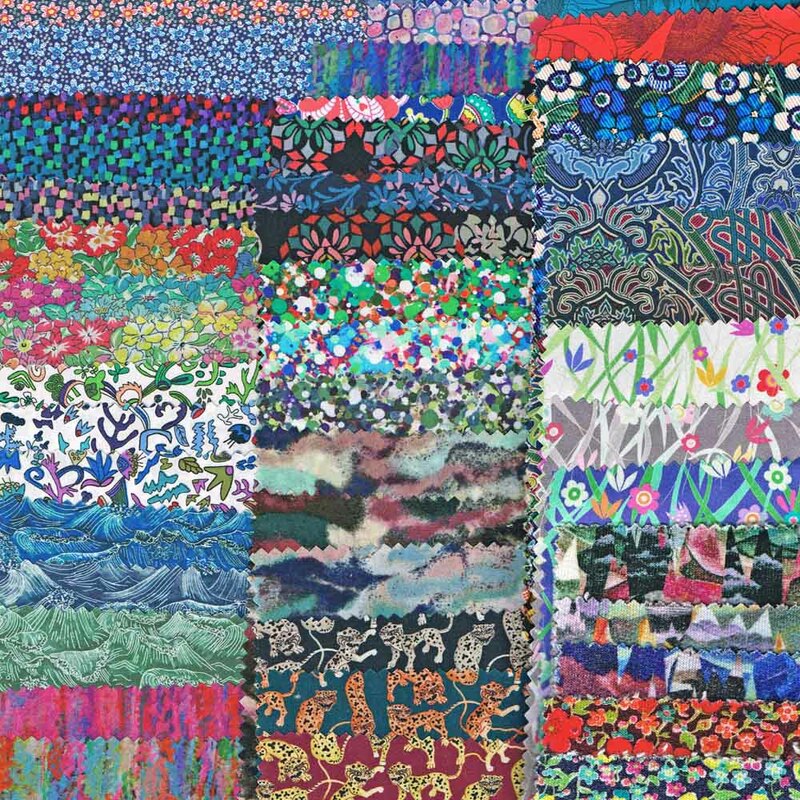 48 small pieces, each sized 7.5 inches x 5.5 inches. 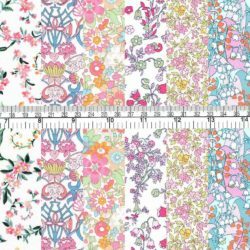 Each has a small label in the corner which might be removable by soaking the fabric, or might need cutting around. 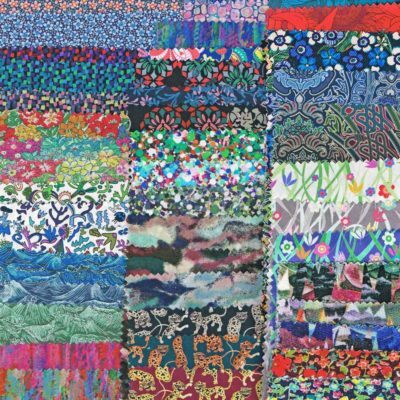 You will receive a random selection of 48 different fabrics. 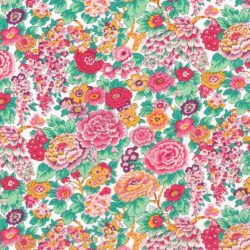 The fabrics in the images are for illustrative purposes only; your selection may be different. Unfortunately we are unable to create custom orders for these packs, and if ordering more than one pack, please bear in mind there will be duplication between packs.